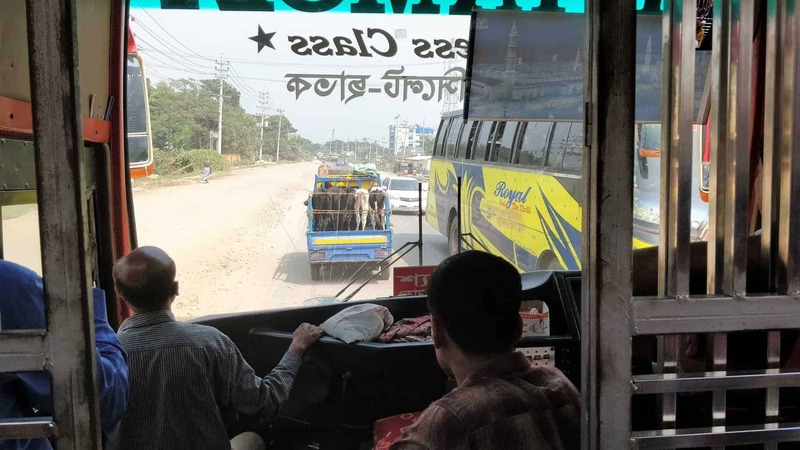 Do you want to go from Dhaka to Sylhet by bus? 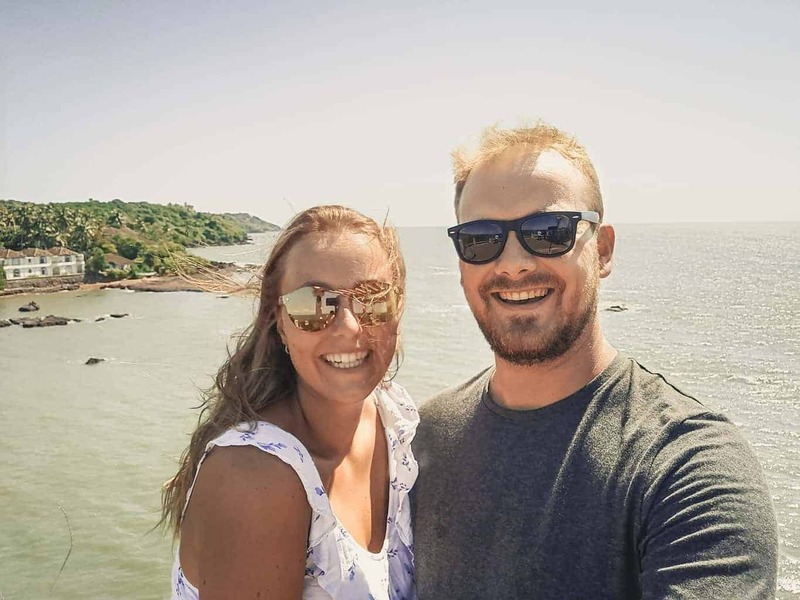 Find out our experiences below! 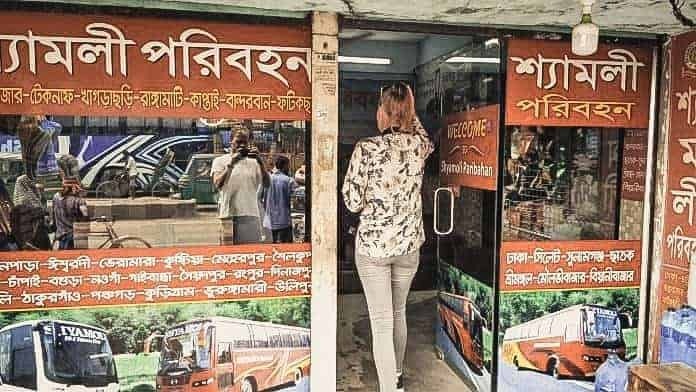 Why is it hard to book a bus in Dhaka, Bangladesh? 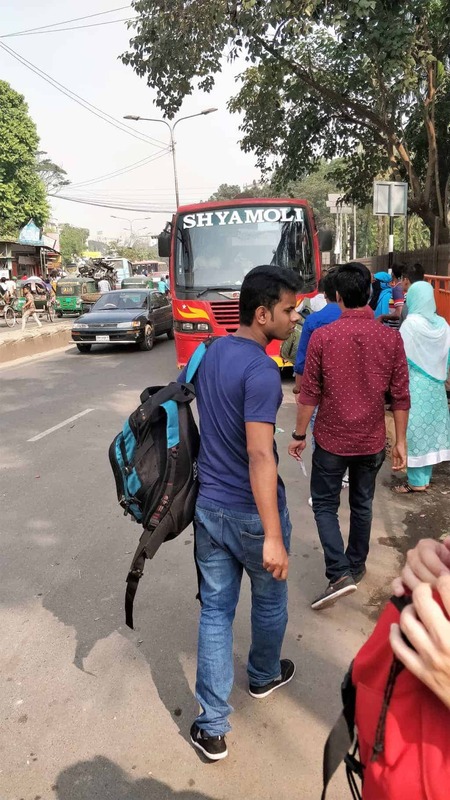 Which bus company to choose from Dhaka to Sylhet? Where did we buy our ticket from Dhaka to Sylhet? Taking a plane from Sylhet to Dhaka. Bangladesh must be the least touristy country we’ve ever visited. The lack of English or even any Latin script makes it even harder to get from one city to another. Even in their capital. Luckily the people in Bangladesh are really friendly and most of them will try to help you out. There are several bus companies in Dhaka and most of them offer the same routes. For example from Dhaka to Sylhet, there are 3 companies each offering the same journey. How do you know which one to take? We used the Shohoz site to check the review scores. We would then buy the tickets from a ticket office nearby. Why didn’t we buy it online? Because we couldn’t figure out the closest bus departure, based on the names of the stops. If you buy a ticket in an office the bus will start at that ticket office. 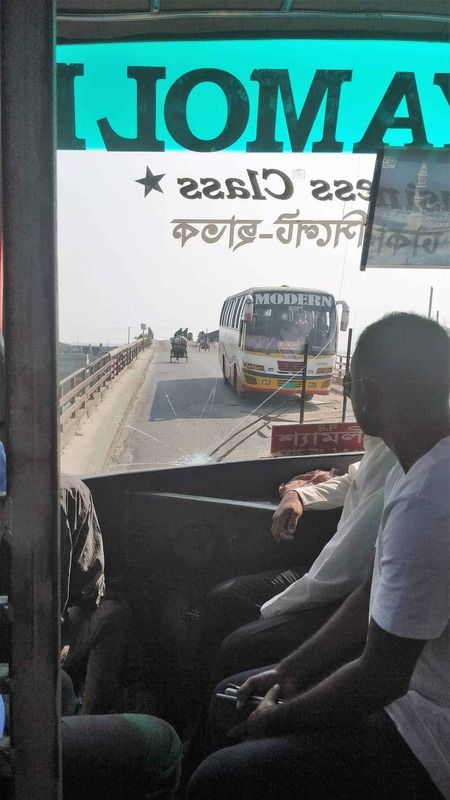 We paid 940 BDT for 2 non-AC bus tickets from Sylhet to Dhaka. That’s around €5/6USD per person. Our bus left at 10 am. The guy who sold us the ticket told us (wrote in Bengali on our ticket as he couldn’t speak English) that we had to be at the ticket office at 9:40 am. The entire trip was 5 or 6 hours, but that will greatly depend on the traffic and your driver. I think our driver must’ve driven more on the righthand side of the road, than on the left (where he should’ve been). Even the average Indian or Vietnamese driver is a real gentleman compared to our first bus driver. There are 2 more options to reach Sylhet from Dhaka. They will both be faster, but more expensive. There are plenty flights from Dhaka to Sylhet every day. Prices average around 75$ but go as low as $40 if you book them early enough. The flights take a mere 45 minutes, but you’ll also have to be there on time, pass security and wait for your luggage when you arrive so count at least 3-4 hours. Taking a train in Bangladesh is a real experience. Unfortunately, we were never able to get on any train. Prices for the train ticket range from 80 Taka (2nd class general) to 1099 Taka (AC birth) [1 USD ~ 84 BDT].